Java has become an immerse option for programmers around the world. It has the ability to provide new options and platforms for innovative minds. Yet, how does one go about learning the language of Java without being misled or misguided? Java video tutorials can be found online and are the best way of lessening the learning curve associated with the process. I think it would be great to discuss with everyone here more about the Java programming language since I've featured a couple of books and/or Java ebooks that could help you learn the Java language here in Bloggers Tech blog. Learning a new programming language might sound difficult, but these Java video tutorials make everything easier. Let's take a look at the benefits associated with Java and why it should be focused upon by programmers eager to get ahead of the competition. 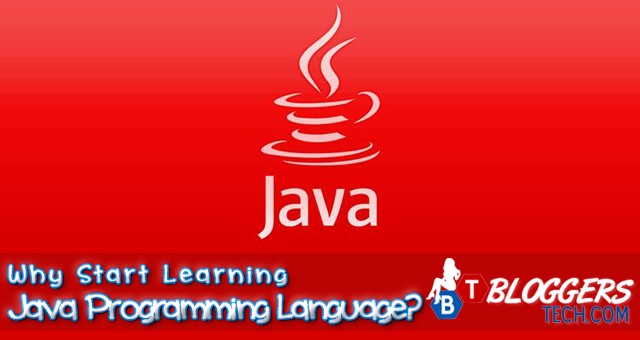 Java is able to produce excellent results as required by the programmer, while remaining across a host of platforms. This accessibility and portability is what extends Java as a key solution for many programmers around the world. It is just a straightforward method of approaching a task and getting it done with great effect. The support available for this language is among the best. Java has become an established language in the online world and is one that is constantly used by programmers to create unique, innovative solutions online. Networks are an intrinsic part of a programmer's life and it is important to find a language that is able to maximize a network's potential. Java is known for being a network friendly language and one that can do an excellent job of maximizing resources. Creating network-based applications is quite easy with Java and this is an attractive proposition for any programmer. Java video tutorials become an intriguing option when all of these benefits are glanced at. One of the biggest underlying concerns for programmers comes in the form of security. For those wishing to create something innovative, they don't want to see the code getting hacked into or ruined. This is one of the major reasons for learning Java and understand its core realities. The security related foundation behind Java is ahead of many other related options. What makes Java such a safe option for programmers to implement and utilize? It has to do with the the environment being protected from untrusted code. The code is only used when it is in the Java environment, which has been designed to ensure nothing unfortunate occurs during the process. The Java 2 platform has a range of security levels implemented to further enhance protection. This keeps the developments safe from any intruding forces that might cause issues. Looking at these benefits and realizing their impact, learning Java becomes a no-brainer. Learning the language through videos with their visual aids can become essential to getting it right the first time. Everyone has their own approach to learning the language, but with specifically designed video programs for students, Java video tutorials are the way to go. I'm among the type of people who can learn faster and easier if I see visuals and see everything at first hand, so with the help of a Java video tutorial my confidence and learning will boost. So, as I have mentioned on my previous post on Java programming language, I have included that Trevor Page (the author of "How to Program with Java ") has his own Java Video Tutorials website where he provides a lot of videos where you could learn all the basics and advance learning in Java programming, JavaVideoTutorials.net is the best to go if you're like me - and by the way you can ask Trevor yourself questions on topics that is not clear for you. Anyway, this is as good as it gets for those aiming to broaden their horizon. Java is a secure, high-quality, performing solution for programmers wishing to push towards the next level of programming.